Earlier this year, PDCA hosted ‘Estimating Month’ and launched a series of free 15-minute podcasts and videos related to the subject. The companion videos are available exclusively to PDCA members. 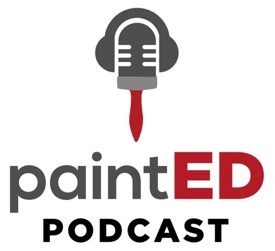 According to Chris Shank, education director for PDCA, education podcasts offer the opportunity for educators to share some of their hard-earned wisdom on a given topic with painting contractors. Use tools to enhance your ability to make informed decisions, and remember that estimating is the process of applying past history to predict the costs of future work. Avoid estimating by the floor square footage or purely off of the labor rates spoken of in your area. Focus on identifying the unique characteristics of the job at hand, then measure the surfaces and count the items in the bid. Use the Developed Area Method to produce consistent and repeatable results. For labor purposes, always assume that anything measured is at least one linear foot—or at least one square foot per linear foot. Don’t deduct surface space for doorways and openings in walls unless those openings are at least 100 square foot or span floor to ceiling and exceed 5” in width. When measuring items that turn at sharp angles like the sides of door trim, square tubing, or I beams, each adjacent surface should be considered a minimum of half a square foot per linear foot. Basically, for labor purposes, you will be increasing the actual square footage in an organized way due to increased difficulty. Remember that none of the tables of production rates in the PDCA Cost and Estimating Guide include any preparation, setup, or cleanup time within a non-preparation-type production rate. That time must be estimated separately. Make use of the tables of production rates in volume 2 of the PDCA Cost and Estimating Guide if you don’t have your own historical information to go on, but start recording your own production rates to further improve your process. Become familiar with MasterFormat, as it is the basis for how information in construction documents are typically organized. Treat a set of blueprints or drawings like a detective. 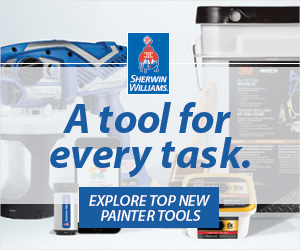 Case and search for surfaces or items that might not be within the scope of work. You don’t find all of the information in any one section of a blueprint; you’ll have to look everywhere, and carefully read all of the notes.